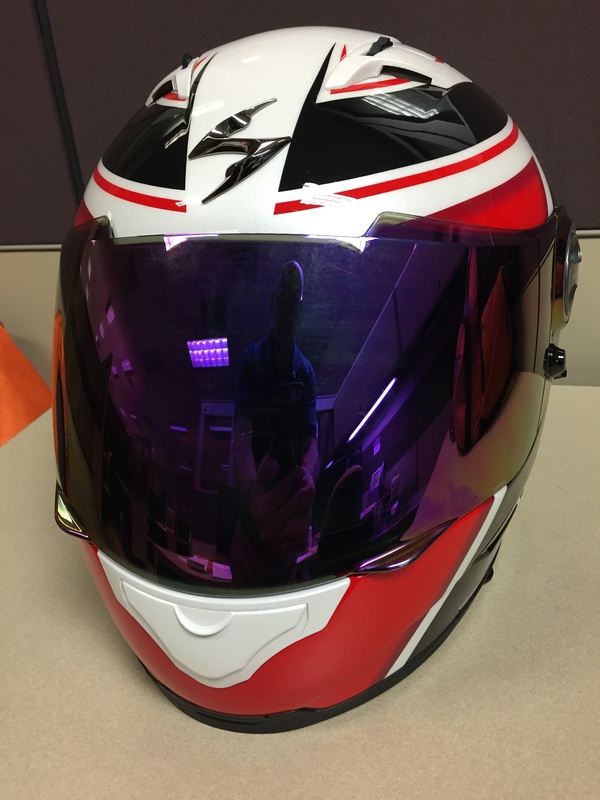 Here is my personal review after having this helmet for a few weeks. FIT: the fit is tighter than the EXO 1100. I wear a small in the EXO 1100 and pulling the EXO 500 size small is very snug – almost too tight. 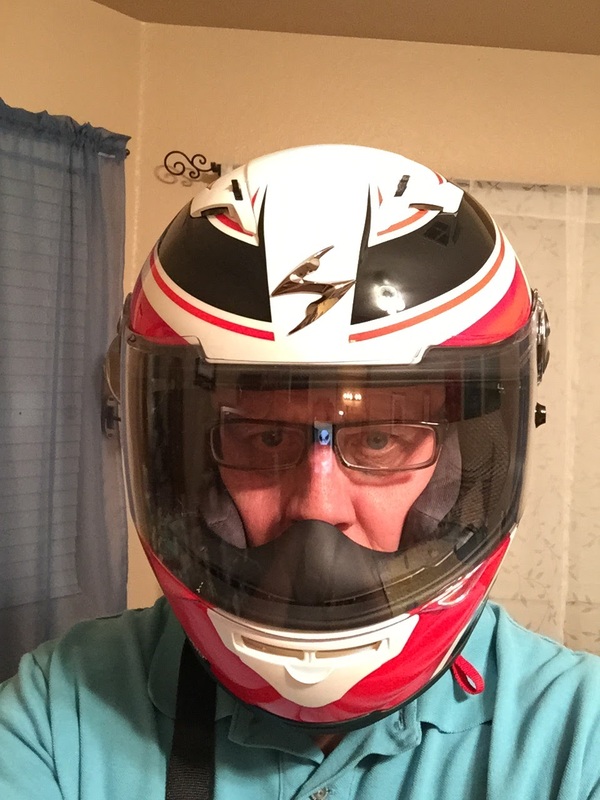 In particular is how hard it is to get my prescription glasses on after donning the helmet. I actually had to use a large crescent wrench to compress the padding near my ears to even get the glasses on. Once I did that, the helmet fit very nicely. So if you wear glasses, this can become a challenge for you. I also wear earbuds for my music when I commute and sometimes I feel some pressure on the earbuds. COMFORT: The EXO 500 is a bit noisier on highway travels than the 1100. Surprisingly the EXO 500 seems to allow more airflow than the EXO 1100. 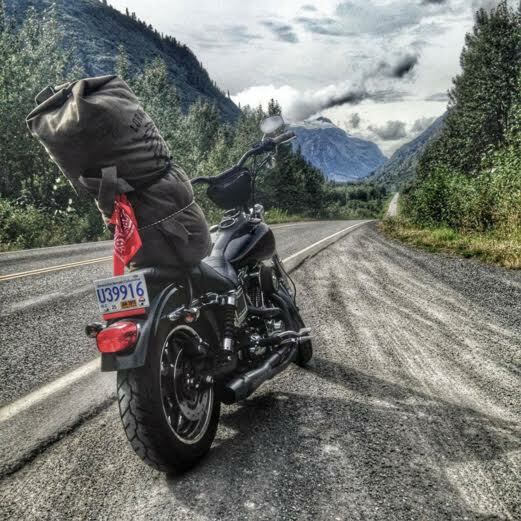 The riding position that allows the best airflow — especially for the top of the head — is with your head tilted down — the normal position for sport bikes with clip-on handlebars. I ride a Yahama FZ6R modified as a streetfigher so my riding position is more upright. I need to tilt my head down for optimum airflow. STYLE: The style is nice. The paint scheme matches the paint on my bike and the pattern is geometrical without looking too ‘mathematical.’ The face shield seems hard to get off and on, but that may be because it is new. The clear shield is crystal clear – awesome for my early morning, sun-isn’t-up-quite-yet commute to work. 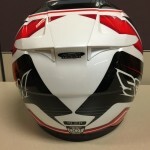 PRICE: The price is right – $189.95 – especially at RevZilla. 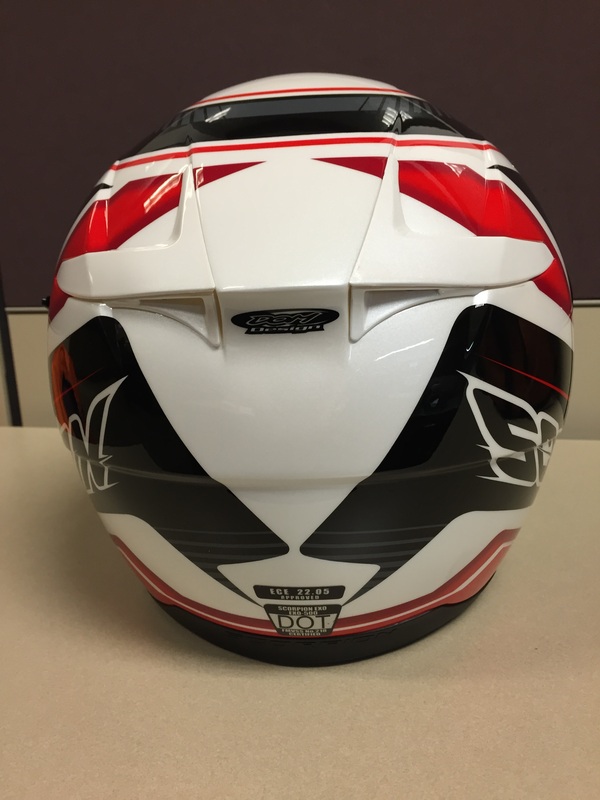 They offer free shipping on this helmet and should you find the need to return it, they offer a pretty darn easy return process. 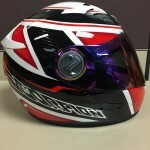 Are you looking for a new street motorcycle helmet with a good price, that looks good and provides great protection? Try the Scorpion EXO-500. I owned the EXO-500 for a bit, but after riding for a while realized I needed a smaller size. 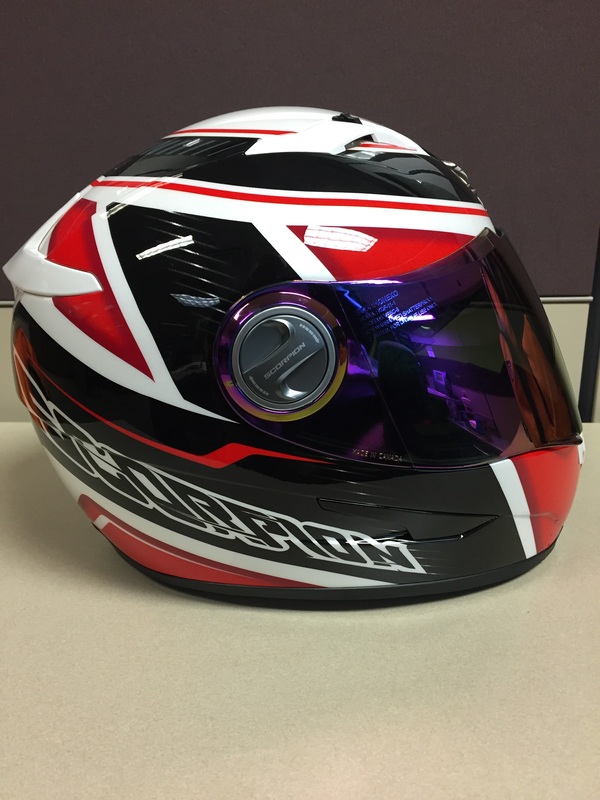 I ended up buying the EXO-1100, but needed another helmet so today I ordered an EXO-500 Corsica – with a Ruby mirrored face shield. 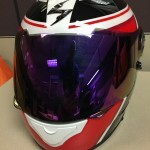 Buy your EXO-500 at RevZilla — Shop RevZilla.com for the latest in Motorcycle Helmets . 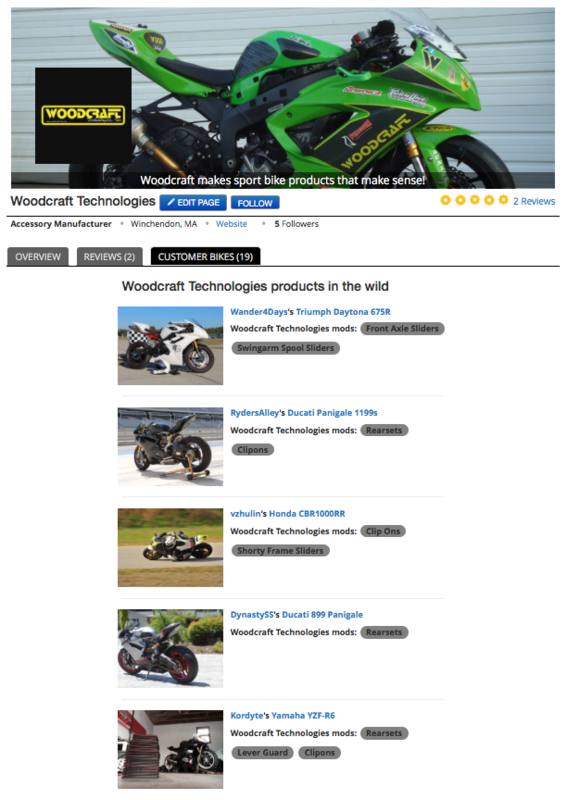 RevZilla has free shipping on orders over $39.99. They have a simple return policy and process. 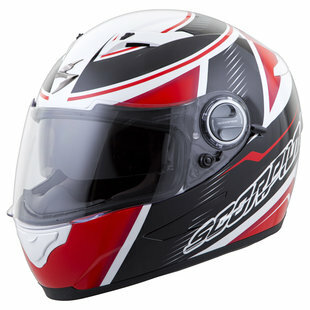 Watch RevZilla’s review of the EXO-500 Corsica and the EXO-500 detailed helmet review below.